The world of mobile communication is not short of drama. Today's news that Google will acquire Motorola Mobility was an unexpected chess move from the boys in Mountain View. Even if the rationale for the move was defensive and rooted in the patent wars of recent, it will have a huge impact on the consumer space of mobile phones. Essentially, I believe, that this purchase means that Motorola becomes the bastion of the untainted Android experience and lead platform in entering the market with new innovations and flavors of the OS and by doing that they will push the other manufacturers to raise stakes in the Windows Phone ecosystem, giving it the necessary boost it needed to become the third major phone OS/ecosystem. The area of innovation for Android has already been very narrow, and manufacturers have attempted to create some form of propitiatory value with their own facades to the OS, such as the HTC Sense. I think that most consumers don't really care about them and on the other hand enthusiasts like me would prefer the stock Android experience. Google's move has made it even harder for independent handset manufacturers to stand out, as I suspect that Motorola will be rolling out the latest and greatest before them, leaving others fighting for scraps. If that happens it's far from the "defensive move" that Google seems to have the other manufacturers signed up for. 1) Play second fiddle. Follow Google/Motorola and focus on the tech-spec race, facades and heavy advertising to stand out. This is the official party line of all of them - for now. It depends on how fairly Google/Moto plays with the others and we'll see if their tolerance for favoritism fairly soon. Any sense of giving more goodies to Moto will break the alliance and shift resources away from the Google backed solution. 2) Bet on two horses. Most manufacturers have stake in Windows Phone already so shifting more resources to the third viable open platform while playing down Android's role would be easy to do. This would be an overall positive development for the Microsoft/Nokia alliance as the platform is desperately looking for some traction and the additional support might just do the trick. Nokia's stock price jumped a healthy +10% as a reaction to the Moto/Google news, so it seems that the market is believing in this scenario. It does seem like Google just might've created a fracture into the (up-to-now) very solid Android alliance and almost accidentally made Windows Phone a viable platform. The handset makers would love to see more competition in the OS space, as that will give them more negotiating power - let's be frank, as of late, they haven't had too much it. This is why I suspect that they will go with door #2 and bet on both the horses if they can. Honestly, I think even Nokia should look into this. Pumping out an Android phone or two would be very easy with the close Linux based family heritage of Meego/Maemo and Android - and that would mean that they have all bases covered. If Windows gains traction, they could then just drop the Androids from the portfolio. What ever happens, I'm sure the big winner will be the consumer, as all of the players will have to work hard to impress us - and there will be at least three massive operating systems and a few of smaller ones to choose from. - google move must have been half ways forced. one, they need patents to fight the other coalitions. two, there has been speculations for moto to shift on to the two OS tactics, which google pre-empts with this move. securing the position in the US market is becoming oddly crucial. - another way to look at the deal is simply seeing this as an opening pattern if the OS owners are starting to buy the best fruits from the market to ensure the market share. murtazin has already announced the ms purchase of nokia, and if that holds true, google buying moto would be logical step to ensure market share in the US market. apple has secured the high-end role and current moves will be about fighting for the low and mid range leadership. - nokia ranging any android devices is very unlikely to happen. if launching meego has already shown being too much for the relationship, it is almost certain that going for android would be too much and besides it has probably been already declined in the coalition deal. - it will be interesting to see how the other ones are reacting to the deal. samsung is too powerful to really touch and they have well mined the android experience as many of the feats and apps are samsung only enabled. htc is already playing twins, and LG and SE are losing the game anyway. surprisingly, the most interesting game is being played in the low end where the masses are. currently many seem to believe that ms has already acquired nokia's mobile phones which would be strong vote for ms to become strong in the volumes as well. seeing how that end is being played is a super bowl like show. Like Juuso predicted, I would tend to also believe that this might actually help Windows to become credible mobile platform. It is very difficult for Google to balance between promoting their own devices vs. "we promote the open and equal Android ecosystem" message. Interesting to see how MS will play now: are they going to keep the platform strictly as SW platform they sell equally the same to all licensees or are they going to deepen then relationship with Nokia. I would bet they don´t have any incentive to invest directly to Nokia, at least in the short term. And simple reason is that they don´t have to: Nokia is already fully committed, Nokia does not have any other options than play fully on Windows. They might as well be forced to take major share in Nokia already earlier if some capital investor start bidding for Nokia shares. Google is amazing company and they have ruled the planet through their brilliant business model = advertising. At the same time they are quickly capturing market share in the mobile industry. All this despite they make the same mistake the FInnish Giant, Nokia, made in the past. First, they created OS with good functionality. Well done. That was followed by very open approach to platform development which fragmented the Android beyond belief. The different screen sizes, processing speeds, UI etc. The applications behave very differently on different devices. This was exactly what happened with mobile Java. Second thing they did, was to upset operators. In the beginning everything was fine. Android offered a viable option to Symbian and iPhone. Google even gave nice premiums for operators selling their product. Soon, however, the operators realized that the device and data plan was only a fraction of the benefit that Google was getting. Getting mobile users for local advertising and millions of more ad. revenue left operators more than upset. Third mistake they did was to buy a handset manufacturer. You might remember Google Nexus and the failure that came with it. Google made a nice promise to its licensees that it will not manufacture another mobile device. That gave energy for many to choose Android. 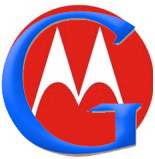 Now, Google bought Motorola. How happy are the licensee manufacturers? Don't take me wrong. Google was and is amazing company. And they likely will rule mobile industry for a little while. But when you upset entire ecosystem like they have done, you can expect quick exist whenever there is another choice. Windows may be just it! Blogs square measure thus interactive wherever we have a tendency to get innumerable informative on any topics nice job keep it up ! !